The following is an adaptation from the book "Busby: Architecture's New Edges." 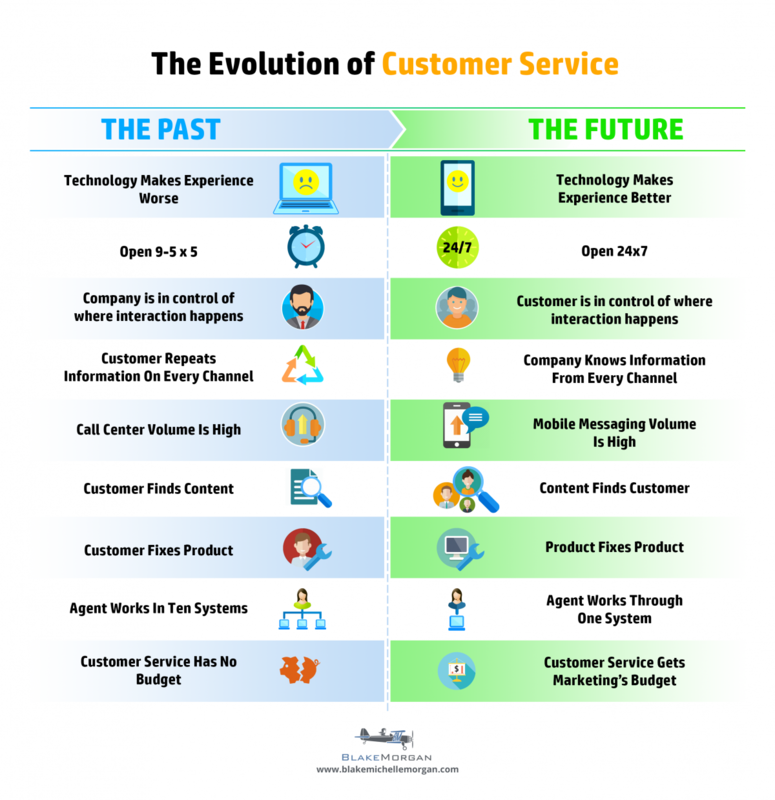 For consumers the future of customer service cannot come soon enough. The customer experience landscape is ripe for disruption. Companies are slowly making progress toward more seamless and simpler customer experiences. Today only a select few companies leverage all the technology at their fingertips to enable customers to use the technology they use daily in their personal lives when dealing with the brand. A company on the forefront includes Amazon. Amazon has made progress building a compelling customer journey. It’s not just the vast and efficient marketplace they’ve built–Amazon is innovating on all sides of the consumer equation. They have connected their Amazon virtual assistant the Echo (affectionately called Alexa) with purchases customers make. A customer can order more of a product by just verbally asking the Amazon Echo for it. Want to know how many grams in a kilo? Ask Alexa. Want to play your Spotify list in your kitchen? Alexa will gladly do that for you. Outside of technology innovation, Amazon has the most hassle-free customer service and return process I have seen. Another great company is Sephora. Sephora is using messenger apps like Kik to provide personalized content and buyer experiences to customers. They seek to create interactions that feel tailored to the customer, and one on one. Most companies still haven’t mastered social media, yet alone mobile messaging. Today the technology for most customer service operations is still not savvy enough for customers to avoid the burden of the old phone call. Customers prefer self-service, but will call when it’s a more complicated matter says Kate Leggett, Analyst at Forrester. That includes account closure or booking a complex airline ticket with multi-city travel. It’s only a matter of time until the game changes entirely because of improved technology. Let’s face it, the younger generations do not want to call brands–and those younger generations will soon be the bulk of your customers (not to be morbid or anything, but it’s the truth). We’re at an awkward inflection point where some companies are doing an amazing job of being on the forefront of customer experience technology, and others are still struggling with the basics. In the future customer experiences will be much more simple. I have created an infographic with nine predictions for you on the future of technology versus the past (and where most of our brands are still today). Please see the infographic below and feel free to share the image. For the consumer it can feel like the brand is hiding behind bad customer service technology. Examples? On the phone tree pressing zero does nothing—there is no human to save you from the bad interactive voice response system. Even though it’s 2016 sometimes customer service technology makes things worse. In a recent article in CIO Magazine an Accenture study was highlighted. Conducted with over 25,000 consumers, it became clear that “Companies have lost sight of the importance of human interaction and often make it too difficult for consumers to get the right level of help and service that they need,” says Robert Wollan, a senior managing director at Accenture Strategy. I now live near Safeway and I often check out at the self-help kiosk. But I always look to see the cashier lines packed. People don’t want to deal with the technology—because it’s ineffective. In fact every time I check out at the kiosk there is at least one problem. And this is in line with the Accenture research. More than 80% of customers surveyed by Accenture said they would rather solve a problem with a person than interact over digital channels. Hasn’t technology made our lives easier in so many ways? One thing is clear, it still remains a problem for many companies who rely on less than ideal technology environments to service customers. According to CIO Magazine, “Accenture calls the over-reliance on digital media ‘human-less’ customer service, which push customers away at a startling rate; 52% of respondents said they switched brands recently because of poor service. Banks, retailers and cable or satellite providers were the worst offenders, according to Accenture.” However in the future technology will get better and so will the company’s approach. One cannot blame the technology or the company—because both are implicated. In the future there will be better options. Customer problems do not only happen five days a week eight hours a day. We live in the global economy where companies must serve customers during many time zones. At the same time customers expect fast responses at night and on weekends. According to influencer and author Jay Baer, 32% of consumers expect a response within 30 minutes through social media channels. The same report found 57% of consumers expect the same response time at night and on weekends as during normal business hours. Companies tomorrow must operate in a 24/7 world. Otherwise they risk losing business. Remember when everyone was talking about how brands have lost control? It was kind of a big deal. Brands felt nervous about how customers now controlled the conversation. Social media turned everything on its head. Customer service became part of many very public conversations. This was great for the contact center, it catapulted this department into the limelight, giving more responsibility to knowledgeable employees—improving customer service’s relationship with marketing. However, brands took their strategies and attitudes about customer service and continued to try to control the conversation on social media. We set up customer service outposts on social media. For example on Twitter, along with the main brand’s Twitter account, we set up customer service Twitter accounts. If the brand is @XYZ on Twitter the help account would be @XYZ_help. Many Facebook accounts were set up the same way, with even a separate Facebook page to help customers. The problem with this approach is the proliferation of service channels. Where as today often customers have to tag customer service accounts or write on a brand’s Facebook wall for the brand to find them, in the future you will see less and less of the tagging of service accounts. With the proliferation of channels there is no way for brands to operate with the same approach they have in the last few years. Every week there is a new latest channel customers talk to each other on. They are sending Snaps to friends, Kik, WhatsApp messages, Weibo, WeChat, texts, tweets and Facebook messages. The proliferation of channels is upon us. The challenge for big companies is speed and scale. Brands need to explore technologies that will allow agents a unified workflow solution that moves seamlessly from channel to channel. The technology should allow the brand to focus more on finding the customer, regardless of channel—and allowing the agent to easily pop in and offer service. The No. 1 customer frustration according to Harvard Business Review is the customer having to repeat themselves. Internal dysfunction, old CRM technologies and lack of a customer oriented culture all contribute to poor customer experiences like this one. In the old days you could differentiate your product by delivering it cheaper, or maybe faster, but now it’s a different game. It’s not just about solving the customer problem quickly and effectively. Brands need to ensure they are doing all the work, so customers don’t need to remember every single piece of information to provide to the company. What happens when a customer contacts the company from a rural highway in the middle of nowhere? That customer might not have their account information or verbal password. The company will need to make it easier for the customer. Rather than having a car sit for hours on the curb, BMW AG’s Mini brand plans to help its customers turn idle downtime into cash. Mini plans soon to make its new cars available with devices that enable owners to rent out their vehicles, like Airbnb Inc. does with spare rooms and empty apartments. The system includes features that accept payment and track the vehicle to make sure the renter doesn’t go for a one-way joyride. If the test goes well, BMW plans to expand the service to its namesake luxury-car brand, Schwarzenbauer said, adding that the technology is easy to install and will be available at “no significant cost” to the owner. The rental feature is part of BMW’s push into so-called mobility services as ride-sharing operators like Uber Technologies Inc. provide consumers with alternatives to owning an auto. BMW already runs car-sharing in cities in Europe, and it plans to add options like vehicle delivery and a taxi-like chauffeur service this year in a new shared fleet introduced this month in Seattle. BMW plans training and certification for the chauffeur service to ensure the company offers a premium product, Schwarzenbauer said, adding that there’s been a promising response from people wanting to become drivers. The chauffeur operation will use fixed pricing rather than Uber’s dynamic method, where fares rise during times of high demand, he said. A rollout to about 10 U.S. cities is in the works. The recently released report by the Department for Business and Innovation & Skills (BIS) suggests that businesses in the UK are recognizing the need for innovation, and are increasingly turning to technology for inspiration. “These figures are highly encouraging and point to a shift away from the transactional, passive IT service provider relationships of old in favour of new, more collaborative partnerships,” says Annodata’s CEO, Rod Tonna-Barthet. He added that, even though they are in the tech industry, the services provided are more about helping business change and less about tech itself. Approaching each client with the knowledge of their ‘pain points’, helps them make strategic recommendations. Such recommendations can help businesses innovate, and ultimately, “add value to the bottom line”. Although this has surprised a large number of people, the signs were all pointing to something extraordinary happening. The Tesla Model S sold 50,000 vehicles in 2015 at an average price of $70,000 to $80,000. That is the same number of the Mercedes E-Class autos, which are priced much lower in the $50,000 range. And if you compare to the top line Mercedes S-Class, which is only slightly more expensive at an average $90,0000, the Model S sold over 2 times the 22,000 units Mercedes sold. And while other manufacturers are happy with single digit percentage volume growth, in Q4 Tesla shipments were 75% greater in 2015 than 2014. Businesses in the UK are coming up with more ideas and products than ever before, according to official statistics from the Department for Business, Innovation and Skills (BIS). Research, based on a survey of almost 30,000 employers between 2012-14, reveals that some 53 per cent of UK businesses are actively engaging in developing and introducing new products and ways of making them. Firms are also creating new services and ways of doing business, increasing by eight per cent in two years alone. Such figures come following a national innovation plan by business secretary Sajid Javid, who stated he wanted to make the country a world leader in new ideas and innovation, which would help to drive up competition, create jobs and provide new and improved products and services. Almost two-thirds of businesses in the Yorkshire and Humber were engaged in innovation in the region, leading the UK for innovative business. At 57 per cent, the East Midlands was also found to be well above the UK average. The West Midlands saw one of the largest increases in business led innovation, up 12 per cent over two years. BIS has also shows how important innovation is to global business success, with 28 per cent of businesses exporting abroad, bringing new British products such as medical scanner charges, to an international market. This compares to only ten per cent of non-innovating businesses. “These figures show that businesses throughout the UK are already leading the way, delivering exciting opportunities across the nation,” said Mr Javid. Sometimes the smallest of things have the capacity to make the biggest of impacts. Last week Lego unveiled its first ever wheelchair-using mini-figure at Nuremberg toy fair, an inch-tall plastic boy sporting a beanie and hoodie who forms part of a Fun in the Park set going on sale in June this year. For a small guy he’s been making big waves, inspiring global press coverage and online jubilation from Lego fans, parents and disability groups. The message behind Lego’s wheelie boy is so much larger than his teeny-tiny stature. His birth in the toy box marks a seismic shift within children’s industries. There are 150 million children with disabilities worldwide, yet until now they have scarcely ever seen themselves positively reflected in the media and toys they consume. In her recently published book Disability and Popular Culture, Australian academic Katie Ellis writes: “Toys mirror the values of the society that produce them …” If Lego is mirroring, it’s reflecting a better world. Intentionally or not, it has sent out a powerful message of inclusion. The delighted response only highlights the size of the void that Lego’s wheelchair boy comes to fill. This beast is ravenous because we’ve never really fed it before. The toys, TV, films, games, apps and books that entertain and educate our children barely feature children with any kind of impairment or difference. Their lives are not reflected. They’re invisible. How do you grow a positive self-esteem when the culture around you appears to place no value on your existence? It does not celebrate you. On the rare occasions when you are depicted, it’s frequently as a disability stereotype – in a medical setting (toy hospital set), as an evil baddie (Captain Hook) or associated with charity (BBC’s Children in Need). Your hopes, dreams, imaginations and experiences are ignored. You are culturally marginalised. Washed away by the mainstream. As the academic and bio-ethicist Tom Shakespeare – himself a wheelchair user – said, there’s a danger that disabled children will feel “like permanent outsiders in the world”. Everyone knows there’s something wrong with how we represent disabled people, but it seems no one knows quite how to fix it. We dance delicately around disability, scared to offend or get it wrong, so we don’t do it. This exclusion is causing damage to millions of children, yet the answer is quite simple. Just include it in an incidental, celebratory way. Move on from the baseline negative, which treats disability as somehow lesser, in need of fixing or overcoming, and see it for what it is – benign human variation, part of the spectrum of human life. Let’s hope that one day positive representations of disability are included so seamlessly across children’s industries that they cease to be noteworthy at all. 85% of consumers expect companies to become actively involved in solving social and environmental challenges and 72% of consumers does not think that companies are working hard enough to solve these issues. All three figures are up substantially from last year. So doing good in the world can in addition to give the company a better image also give the company more loyal and happier customers who might be willing to pay a slightly higher price for a product produced in a more responsible way. However, "only 20% trust companies when they communicate about their social/environmental commitments and initiatives" so 'doing good in the world' and addressing these issues needs to be more than a PR-exercise. How Facebook can change to bank industry and other industries. With Facebook approaching a billion people there are lot of opportunities to do a lot of different things including developing completely new business models in areas such as banking. Peer-to-peeer lending could be such as an area where Facebook could develop a global lending business similar to Zopa side-steping banks. Purchasing is another area where Facebook could use the massive negotiating power of a huge network to change how people are purchasing goods and services. In this video Thomas Power from Ecademy talks about some of these ideas and possibilities. iPad - a game changer for the printed press/ print industry? Could the new iPad be a game changer for the printed press/ print industry in the same way as the iPod/iTunes changed the music industry? iPad has the opportunity to change a whole industry and the way we consume printed media. Content is still king but the way content is distributed and the business model for how to distribute and monetize content will definitely challenged by the introduction of iPad. Much in the same way as iPod changed the way music is consumed, purchased and distributed. Google chief executive Eric Schmidt claims that within five years we will be consuming a 'radically different' internet, dominated by Chinese language and social media content delivered via super-fast broadband. Google's Eric Schmidt claims the web will look radically different in five yearsSpeaking at the Gartner Symposium/ITxpo Orlando 2009, Schmidt outlined his vision of the future, claiming that how to rank real-time social content is "the great challenge of the age,"
He also advised brands to listen to youth consumers when drawing up their marketing strategies. "Talk to a teenager about how they consume media and remember in five years they'll be your employee," he said. 1. Five years from now the internet will be dominated by Chinese-language content. 2. Five years is a factor of ten in Moore's Law, meaning that computers will be capable of far more by that time than they are today. 3. Within five years there will be broadband well above 100MB in performance - and distribution distinctions between TV, radio and the web will go away. 4. "We're starting to make significant money off of Youtube", content will move towards more video. 5. "Real time information is just as valuable as all the other information, we want it included in our search results." 6. "We can index real-time info now - but how do we rank it?" 7. It's because of this fundamental shift towards user-generated information that people will listen more to other people than to traditional sources. Learning how to rank that "is the great challenge of the age." Schmidt believes Google can solve that problem.